Our popular Cordite carbon road bike is back and is now available with disc brakes! Introducing the new Merlin Cordite Disc carbon road bike; we’ve taken all of the popular elements from the original Cordite and have re-engineered the frameset to be disc-brake-specific with thru-axles and flat mounts for hydraulic disc brakes to provide consistent, predictable braking in all weather conditions making the Cordite the most user-friendly carbon road bike in our range. The Cordite Disc is versatile too and has been designed to perform excellently in sportives, all-day epic rides and even your local weekly crit race. This new disc brake version continues the same approach we took with the previous caliper brake version, mixing rider-friendly geometry with clever carbon fibre engineering to put you in a neutral position on the bike while isolating you from road buzz and rough road surfaces thanks to its cleverly engineered seatstays which include a little extra compliancy; clearance for up to 28mm road tyres means there’s even more scope to make your ride as comfortable as possible. The Merlin Cordite disc features Shimano’s excellent new 105 R7020 11-speed hydraulic disc brake groupset which features a new Shadow Technology rear derailleur that gives a lower, more aero profile and increased protection from crash damage as well as a great looking chainset evolved from the Ultegra R8000 version which is even stiffer and provides more power transfer than its predecessor. Each gear selection is precise and predictable; the addition of safe, easily-modulated Shimano BR-7070 flat-mount hydraulic disc brakes will have you descending with new-found confidence regardless of the terrain or weather conditions. A choice of finishing components lets you customise the finer details of this great handling carbon road bike before our Merlin workshop technicians custom build your bike to your own spec. Choose your preferred wheelset, stem-length, handlebar profile, gear ratios of and more to tailor your dream disc brake carbon road bike specifically for you. Really nice bike this. Now that I have it all set up it is very comfortable, quick and smooth to ride. Very pleased with my purchase. Really impressed with this bike, fantastic value for money. Looks better in the flesh. The tubes are ovalised in places and the graphics along the top tube are cool. Usual top service from Merlin, bike packaged perfectly and I had up and running in 10 mins. You can't go wrong! Very pleased with the Cordite 105 Road bike. 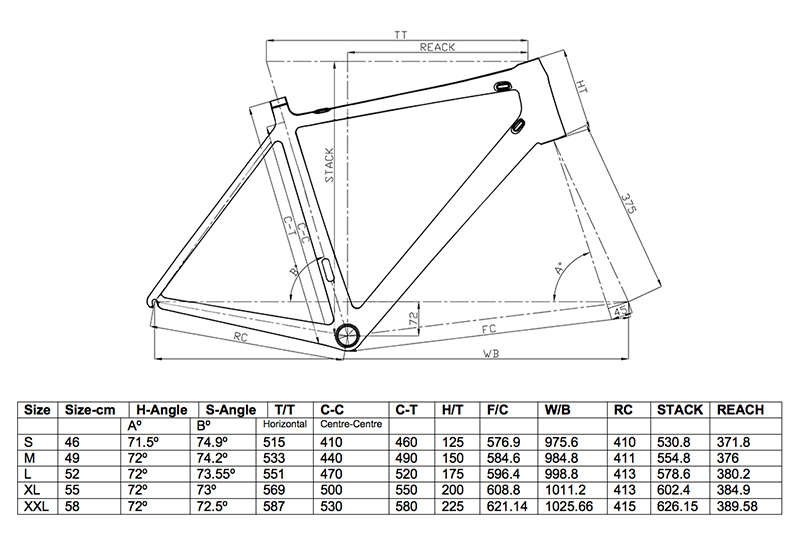 The quality of the frame and components is pretty amazing for the price. This bike looks good and is well built. Arrived perfectly packed and ready to go. Unfortunately it's winter now so I can`t put it to serious testing but so far I like it very much.